Today we had the pleasure of stopping by and talking with the Pre-K and Kindergartners of Wilbur McMahon School today. 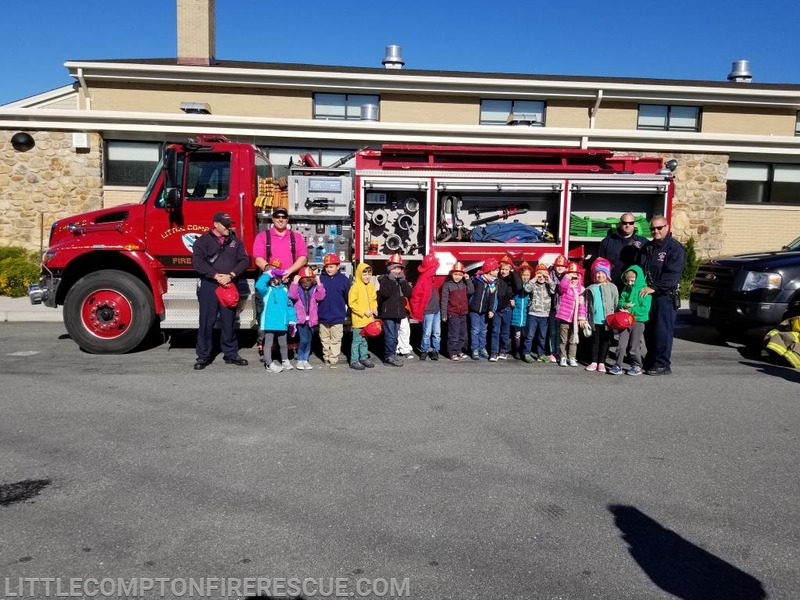 It is always fun for use to stop by and educate these little minds on proper fire safety and prevention! Thank you for having us today! FF Condon, FF Cabral, FF Hussey, and Capt. Watt with some of the kids in front of Engine 2.